When discussing irrigation systems, most people imagine sprinklers because they’re such a visible example of an automated watering system. But drip irrigation is a water-wise way of making sure each plant gets exactly the amount of water it needs. Drip systems use flexible tubing connected to individual drippers, or emitters. The emitters are placed at the root zone of each plant and give a specific amount of water every time the system runs. If you’re considering installing a drip irrigation system, learn the right way to approach it with these professional tips. When to choose a drip system Drip irrigation systems are usually the best choice for watering a landscaped bed with trees, shrubs and perennials, because they give you perfect control over how much water each plant gets. You can select emitters that give a lot of water to plants, or ones that give just a small drink. There are even mini sprayers available for drip systems which can water sections of the landscape with annual flowers, vegetable seedlings and other thirsty plants. Because you can mix and match which emitters you use, your drip system can be customized to your landscape’s needs. For cost information, see Drip Irrigation System Price Estimates (sidebar). Why drip irrigation and not a sprinkler system?Sprinkler systems are most commonly used to water lawns and low groundcovers, because these types of planting can benefit from an even application of water over the entire area. However, sprinkler systems are less useful for beds with mixed plantings of shrubs and flowers, for a number of reasons. The stream of water from a sprinkler system runs into tall garden plants, stopping the spray from reaching the rest of the area and knocking flowering perennials to the ground. In addition, plants with wet foliage are more susceptible to fungal and bacterial diseases, so using drip irrigation to apply water directly to the roots promotes a healthier garden. Drip systems are also the best choice for those looking to conserve water. Sprinkler systems shoot a large quantity of water into the air over a short period of time. 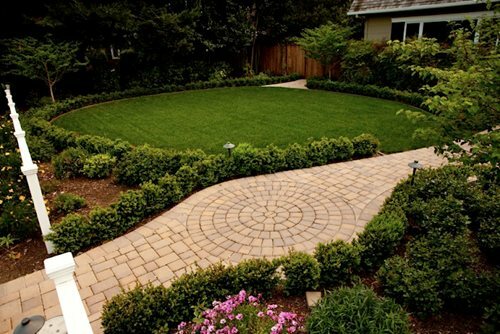 This can lead to water waste through runoff, evaporation, and over-watering areas of the landscape which could be happy with less. 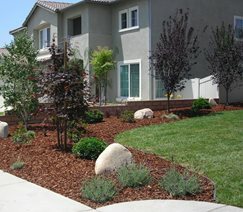 Rick Evans, owner of Aesthetic Gardens in Mountain View, CA, says, “Anytime you’re spraying water into the air as a way to irrigate, you’re wasting 50-70% of it, depending on weather conditions.” A drip system, by contrast, puts out a controlled amount of water very slowly in the exact location it’s needed. This allows you to be sparing with natives and other waterwise plants, and give a heavier dose of water only to the plants that need it. Pro Tip: If you have a lot of wild animals or pests in the landscape, sprinklers can sometimes be a better option, even for garden beds. Rodents and other animals will chew through drip tubing to get at an easy water source. This isn’t an issue in most suburban landscapes, but in the country it can factor into your decision. However, if you’re installing a sprinkler system at the same time, each drip zone can sometimes run a little less. “For a small area with few plants, adding an extra drip zone can sometimes cost as little as $300,” says Jeremy Walla of Aspen Ridge Lawn and Landscape in Rapid City, SD. Evans recommends using underground drip for all applications, including lawns. He uses a specially-designed type of irrigation tubing called Netafim, which has technology in place to prevent roots and soil from clogging emitters. “Even golf courses have been changing over to Netafim because of the huge cost savings in water usage, and so they can avoid the use of expensive, mechanically-driven sprinkler heads,” he says. Another advantage to using underground drip irrigation on lawns is that you can effectively irrigate any shape of lawn, even tight curves, without overspray. In addition, you don’t have to look at ugly sprinkler heads sticking up out of the ground, or deal with broken heads due to overzealous mowers. “People have gotten used to seeing sprinkler heads pop up and water, and there’s a concern that if we can’t see it, maybe it isn’t working,” Evans says. But the many advantages of sub-surface drip make it a compelling option for waterwise landscapes. Drip irrigation planning and installationYour drip system’s design will be based on the type of soil and plants you have. In clay soil, the water spreads out from the location of the drip emitter and covers a wider area, while in sandy soil, the water from the drip emitters sinks almost straight down. This can affect the variety and placement of emitters. Plant sizes and varieties will also factor into the design of the system. Large plants such as trees may need two, three or more emitters spaced evenly around the rootball, while perennial flowers may need only one emitter. 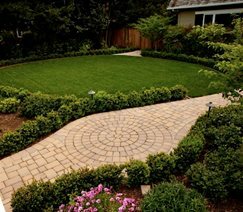 Your landscape contractor can guide the process and make sure each plant gets the water it needs to thrive. The installation process is simple. After planting, your contractor will lay out the drip irrigation system including tubing and emitters. The next step is to pin the tubing to the soil surface using landscape stakes or pins, then add wood mulch to cover the irrigation tubing so it’s not visible in the finished landscape. If you’re using landscape fabric, put that down after planting but before installing the drip irrigation system. If you have an existing sprinkler system, you may be tempted to tie your drip system directly into your sprinkler pipes as a money-saving shortcut. However, the pros say this is a big mistake. “Because a sprinkler system throws out so much water over a short period of time, by running a drip system on the exact same line you ensure that either your drip system will be underwatering, or your sprinkler system will be overwatering,” says Villaescusa. “In addition, running drip off the sprinkler pipes doesn’t allow you to use a strainer to filter out mineral matter in the water supply. This can cause emitters to clog and stop working.” It’s always best to have sprinklers and drip systems on separate zones. Drip irrigation partsYour drip irrigation system has a number of parts, but once it’s installed, it’s fairly easy to understand. The following parts are standard in drip irrigation systems. Automated timer. Your drip irrigation system can share a timer with your sprinkler system, as long as there are enough stations left over to run the drip system on a separate station or zone from lawn sprinklers. Water sensor. “A water sensor makes your system fully automatic,” says Villaescusa. “It senses changes in the weather and adjusts the watering cycle so you don’t have to.” A water sensor is a great way of saving both time and water. Y-strainer. The municipal water supply is full of small chunks and pieces of grit. While we don’t notice this in our faucets, drip emitters can become clogged by this sediment and stop functioning. A y-strainer is a simple filter which keeps emitters clean. Pressure regulator. Drip systems require less water pressure than sprinkler systems. In fact, too much water pressure can blow emitters off the tubing and cause breaks. Your contractor will likely use a pressure regulator to reduce water pressure for the drip system. Valve. The valve receives electrical signals from the timer which tell it to turn the water on and off. Each zone will use a separate valve, and the valves are usually housed in a green plastic box somewhere in the landscape. Tubing. Half-inch polyethylene tubing is used to bring water throughout the landscape, while quarter-inch tubing is used to bring water from the main half-inch line to the individual plants. Connector. A quarter-inch connector establishes a secure, leak-free connection between half-inch tubing and quarter-inch tubing. Emitter. Drip irrigation emitters are available in different styles, but they all let out a specific quantity of water. They are measured in gallons per hour (GPH), so your landscaper may choose 1-GPH emitters for perennials and 2-GPH emitters for shrubs. 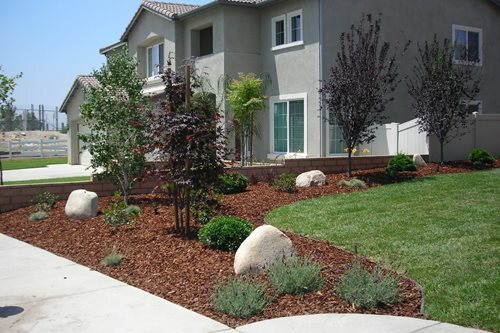 A professionally-installed drip system is an effective and relatively inexpensive way of saving water and enjoying a lower-maintenance landscape.